There is a new movement in home ownership called the Tiny House Movement. The more the economy declines, financial concerns arise, including the decrease in median incomes in the United States, more and more people are changing their lifestyle habits to live more simply and cost efficiently. According to CBS News, over 26% of working class spend over 50% of their income on housing. Not only is a fall in income a concern, but personal debt, like college loans, also contributes to a lack of savings and disposable income for future home ownership, events of emergency, and even retirement. CNN reported that over 75% of americans are living paycheck to paycheck, which leaves little no room for disposable income or savings for the future. So are tiny homes the new alternative for living simply and efficiently in America? If we find a listing for a house for sale in Austin, the median price for a single-family home is about $119,900 with an average square footage of 1152. That’s an average of $104 per square foot. The down payment for this home is 20%, which is $23,980 and the monthly mortgage for 30 years is $442 a month. Every home has a property tax, which in this case is $2,698. These numbers are easily digestible if you have a solid career and no debt. However, the cost to live in a typical home is more than the monthly disposable income, meaning less savings for retirement. The average cost to buy a tiny home is about $57,000 and they average at 130 square feet. Although you are paying more per square foot initially, it will take a shorter amount of time to pay off in the long run. 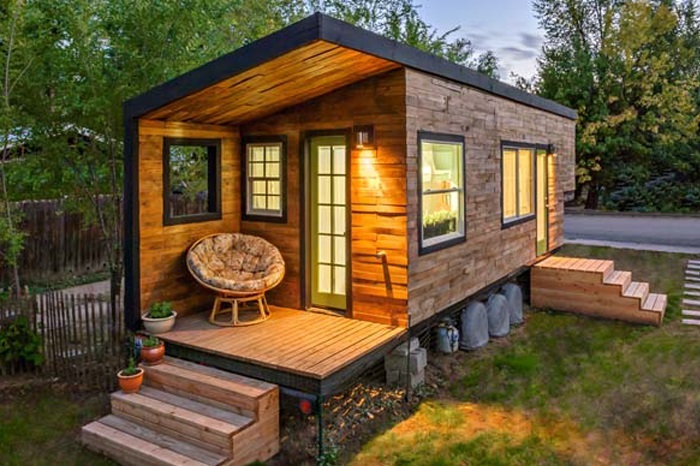 About 68% of tiny home owners do not have mortgage, according to The Tiny Life, who also said that a little over 30% of tiny home owners have over $10,000 in savings. Less living space means less monthly costs, meaning more disposable income. So what does this all mean? How do you know if this option is right for you? This is where the introspection of your self comes in. What are your values in life? Do you want a big home with a yard for your 8 children to play with the family dog? Or are you more interested in the simple, less cluttered life? Maybe you don’t like having the next best thing in the consumerist marketplace, but rather, you prefer a small cottage in the mountains away from society. Or maybe you plan to travel to as many places as you can after you graduate. Tiny homes are ideal for the traveler, the loner, the simple liver, or even those community gardeners out in the countryside. Tiny homes can fit any lifestyle, from those who want to live a less cluttered, more simple life, to those who travel for their job or for their own wanderlust. It all comes down to your own personal financial situation as well as your plans for your future. 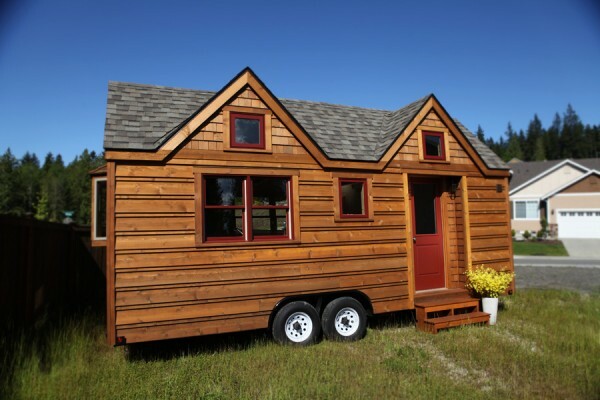 For more information on this tiny home movement visit The Tiny Life website and for average costs, square footage, for tiny homes visit Tumbleweed Tiny House Company.